After a successful beta period, the GraphQL API is now public. GraphQL is part of the next generation of API design, enabling developers to assemble content from multiple sources and deliver it to exact frontend requirements with a single API call. The GraphQL endpoint offers powerful filtering capabilities and built-in caching, and supports both the content delivery and content preview APIs. The GraphQL API is currently available on Large and Performance space types. Collaborating across roles and departments comes with its own set of challenges, and your CMS shouldn’t get in your way. Our user management page now includes the ability to filter users by roles and spaces, displays last login and SSO status information and includes sorting options. 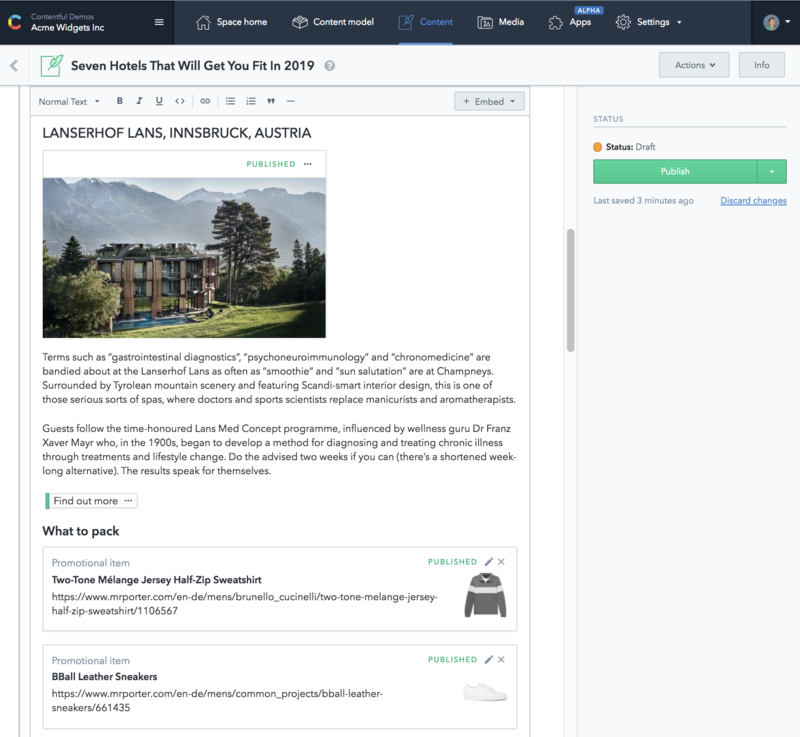 For companies with hundreds of Contentful users, the new User Management API eases the burden of administration by providing a programmatic way to accomplish common administrative tasks. We have also introduced the concept of teams, found under the organization settings tab. The team view allows administrators to create teams and add or remove users. 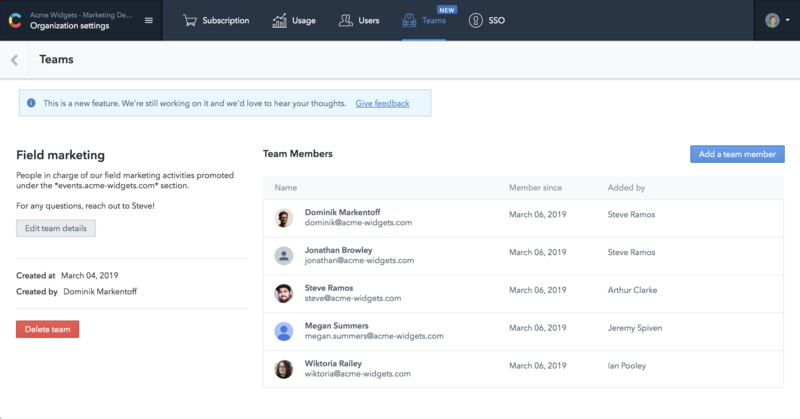 Regular users have read-only access to a team view, designed to help them discover the teams they belong to and the peers they collaborate with inside the space. These features are currently in alpha mode, with more functionality expected in the near future.